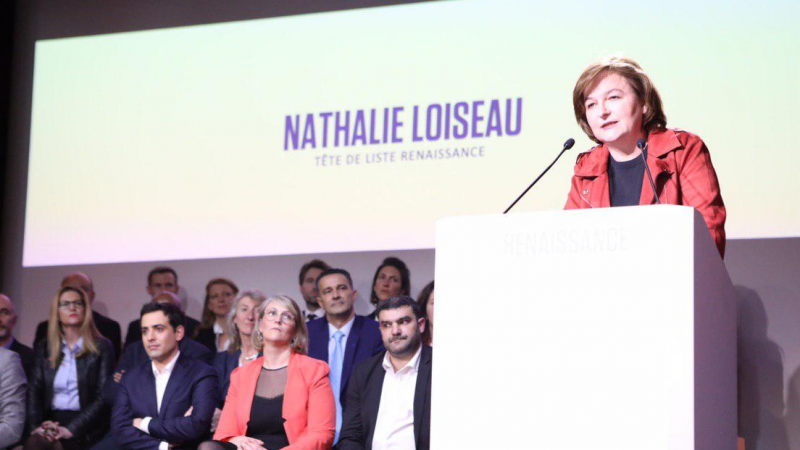 Nathalie Loiseau, during the launch of LREM list baptised "Renaissance" on 26 mars. “It is a unique team compared to other lists”. That is how Stanislas Guérini, general secretary of En Marche, presented his list on Tuesday (26 March) for the European elections, which appears quite eclectic. Behind Nathalie Loiseau, France’s former minister of European affairs, and Pascal Canfin, ex-minister of development and former MEP, the list contains unexpected profiles and political newbies: an oceanographer, two journalists, a Charolais beef farmer, a winegrower from the area of Pic Saint Loup in the South, and even a sailor. Emmanuel Macron’s centrist party clearly chose a well-researched list, and one which honours the philistines of the European institutions. But many of them are relatively unknown, at best. “There are no candidates here who have already been elected to the European Parliament,” said political veteran François Bayrou. It was a joke, of course. Pascal Canfin, Dominique Riquet and Pascal Durand have all already served as MEPs; the candidate Valerie Hayer has been a parliamentary attaché of Jean Arthuis; and Stéphanie Yon-Courtin was a legal assistant at the European Commission. But several candidates simply have Europe at heart, for instance, Marie-Pierre Vedrenne, director of the Maison de l’Europe in Rennes, or Bernard Guetta, a former columnist at France Inter. “Emmanuel Macron unites us, but we will work on our positions,” Nathalie Loiseau said before detailing the priority points of the programme. 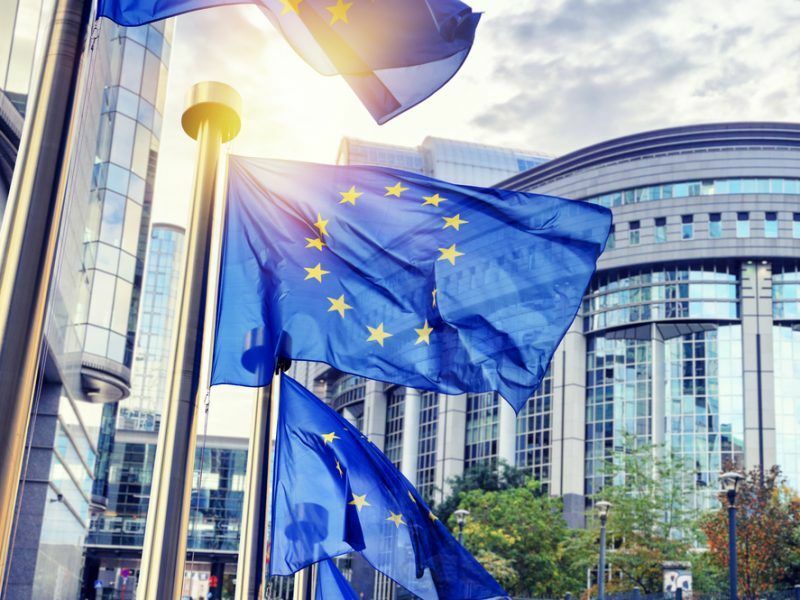 Unlike other groups, LREM is allowing itself until the start of March to reveal who will lead its list for the European elections, hoping it will therefore have the time to mobilise its political partners at the European Parliament. EURACTIV France reports. “We have to deal with climate and environmental urgencies. In 1989, Europe gave itself the funds to anchor the east to the west, by creating the EBRD. Today Europe is reunified, which requires one action: the climate and environmental urgency,” said the minister, who announced her resignation immediately after. The topic of a European climate bank is a central theme of the team, which is also eager to work on digital issues. 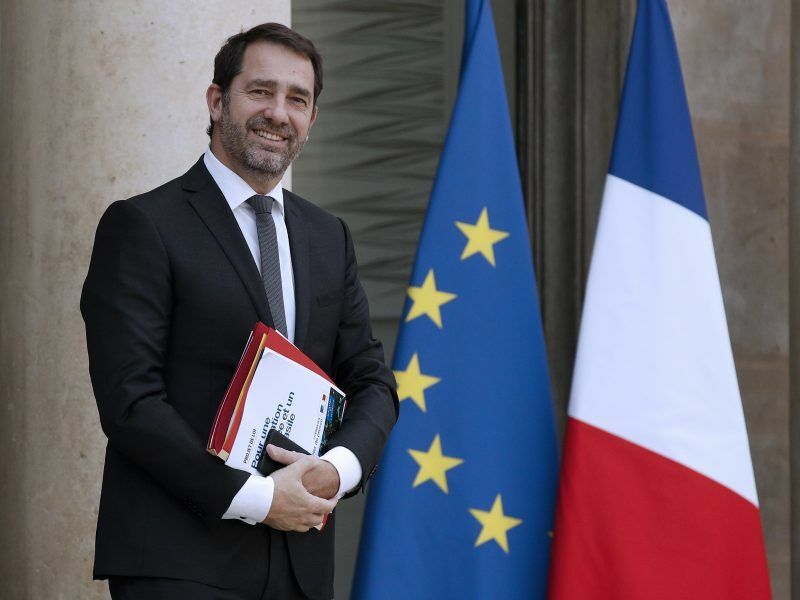 In defence of transnational lists, the LREM list has welcomed two non-French Europeans, including Sandro Gozi, former minister of European affairs of the EU. A list compatible with ALDE? “I believe in the polyphony of professional backgrounds,” said Stéphane Séjourné, Macron’s former advisor, director of the LREM campaign and candidate for the European elections. There is now a need to find coherence in this Prévert-like list, between candidates whose only common denominator appears to be their connection to Europe. 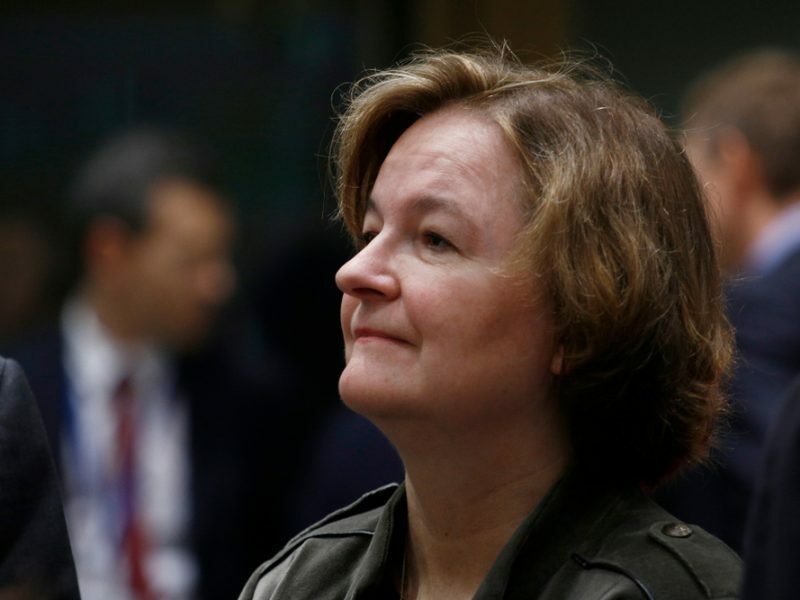 The question can be posed in relation to their future action in the European Parliament: Nathalie Loiseau refused to confirm which political group they would join in the EU assembly after the elections. LREM is expected to obtain around 20 seats, and their future affiliation is the subject of intense speculation in Brussels although many consider their natural home lies with the liberal ALDE group, a centrist formation. “We have good and friendly contact with ALDE, but they are not the only ones. Others come from different political families, like on our list,” indicated the candidate, herself close to Alain Juppé and Giles Boyer, former director of cabinet for the mayor of Bordeaux. LREM candidates have also started to describe their main opponents: voter abstention and the Rassemblement national. The French Minister for European Affairs already crosses swords on a regular basis with the far-right Rassemblement National and its fake news. This could prove useful practice for the upcoming election campaign. EURACTIV France reports. what about the violence from Mr Macron towards the protesters? He is not so different from what Mrs Le Pen towards immigrants.